This story is the debut of St. Laurence’s new online series, The Campaign Corner. Defend the Glory: The Campaign for St. Laurence is the largest capital campaign in school history. The fundraising initiative aims to raise $2.5 million for student aid, $1.5 million for faculty excellence and $1 million for technology and facility improvements. The Campaign Corner brings together stories and updates focused on the three main beneficiaries of our capital campaign: students, faculty and facilities. If you are interested in learning more about the campaign, please visit www.stlaurence.com/defendtheglory. Upon graduating this past May, St. Laurence’s Class of 2017 had plenty to be proud of. In the classroom, this was the first group to undergo St. Laurence’s StL STEM curriculum during their entire four years. Ninety seven percent of the class is moving on to college, having earned nearly $9.5 million in scholarships to help pay for their education. From an athletic standpoint, the class earned many individual and team accolades, headlined by back-to-back football state semifinal appearances in 2015 and 2016 and a third-in-state finish in baseball in 2017. Among a class filled with student-athletes, perhaps no Vikings personified the term better than Brett Bittner and Brian Lyle. Bittner, a resident of the Garfield Ridge neighborhood, was class valedictorian and finished his high school career with a perfect 5.0 GPA. On top of his impeccable academic record, he also was a three-sport athlete – an All-Conference tight end on the football team, a center on the basketball team and a sprinter and hurdler on the track and field team. When it comes to balancing the life of a straight-A student and a strong athlete, Brett credits St. Laurence for putting him in a position to succeed. Moving forward, Brett is also confident that the project-based learning curriculum and hands-on projects he was a part of at St. Laurence will prove valuable in college. 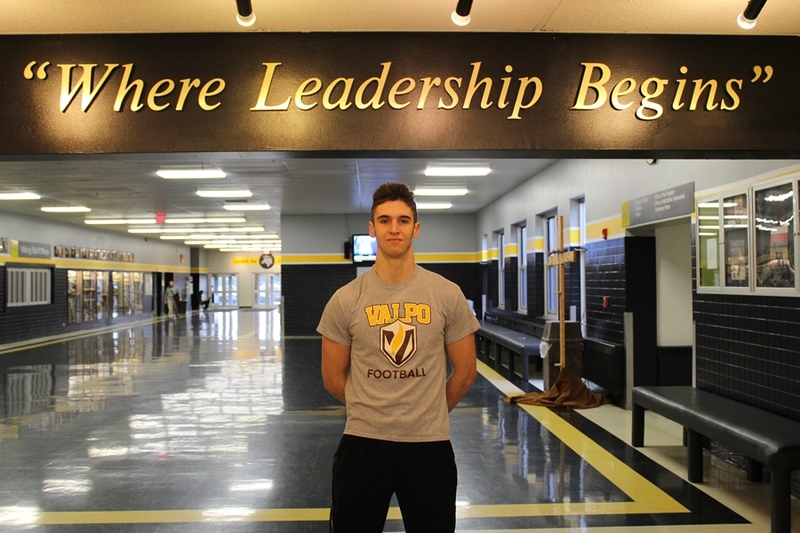 He will study mechanical engineering at Valparaiso University this fall, which was recognized as the #13 engineering school in the country in 2017. On top of that, he was recruited to play football. For all of the success Bittner had in the classroom, Burbank native Brian Lyle was right alongside him as the class salutatorian. Lyle was also incredibly involved during his time at St. Laurence – he was an officer for the National Honor Society, a Leader/Scholar and was recognized as the school’s “Leader of the Year.” He played basketball and was also a leader on the baseball diamond, where his stellar play at shortstop helped the Vikings to their best finish in 24 years while earning himself a spot on the CCL All-Conference First Team. 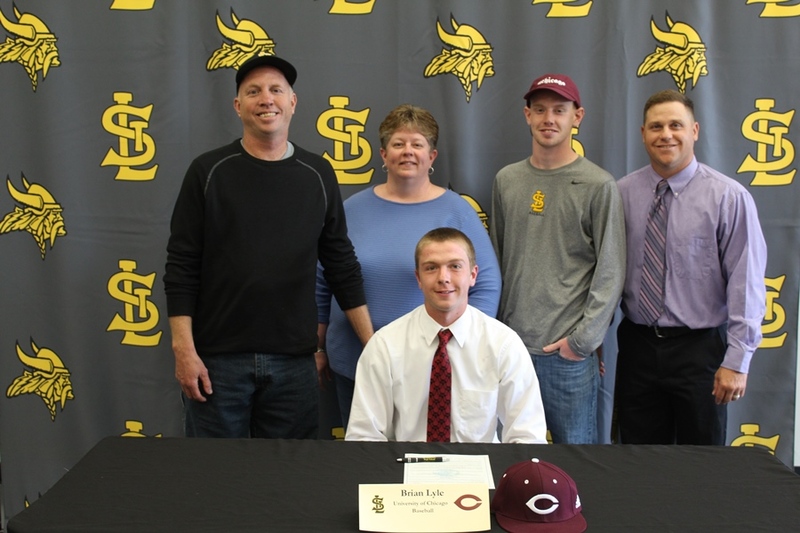 With a great track record as a student, athlete and leader, Brian will continue his career at the University of Chicago, the nation’s #3 ranked university. While he knows it won’t be easy, he feels that he has the tools to flourish at a top-flight college. The legacy these two young men leave at St. Laurence is something neither takes lightly. Both take pride in their class leaving St. Laurence a better place than it was when they started. And as for life after St. Laurence? Both students plan on remaining familiar faces around campus. They both want to remain connected to their classmates, and want to come out to as many events as possible.